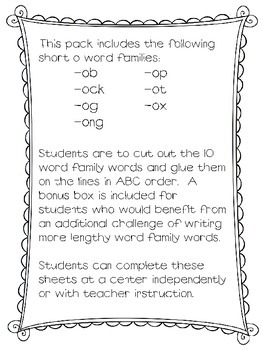 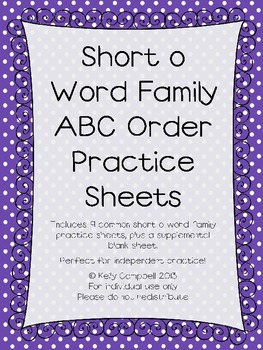 Students are to cut out the 10 word family words and glue them on the lines in ABC order. 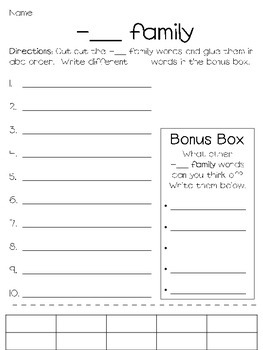 A bonus box is included for students who would benefit from an additional challenge of writing more lengthy word family words. 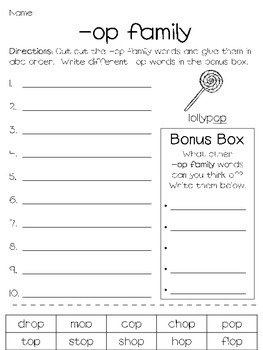 Students can complete these sheets at a center independently or with teacher instruction.